If you are planning your next Gatlinburg Tennessee vacation, you have a choice between new hotels, vintage ones, and everything in between. New hotels in Gatlinburg TN obviously offer the advantage of new paint and the excitement of newly trained staff. The vintage ones come with history and nostalgia. Zoders Inn and Suites Gatlinburg has been around for 75 years now. It offers such a wide variety of services that we can rightfully call ourselves a resort. As a Smoky Mountains hotel, we take pride in our mission of providing travelers with a home away from home. There's nothing like the compliments we receive from our repeat guests. 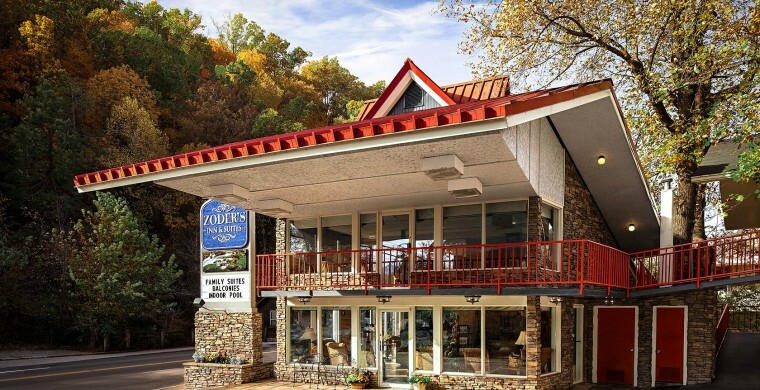 Considered for years as one of the top hotels in Gatlinburg TN, Zoder's Inn and Suites has always been owned and operated by the Zoder family.